Our very first film project was the 2007 digital restoration and re-mastering of William Joseph Hill’s very first feature project Law of the Ninja, produced when he was a high school student growing up in Hawaii. The re-mastered film contained brand new VFX and was re-cut using original footage. The completed movie was released on YouTube. 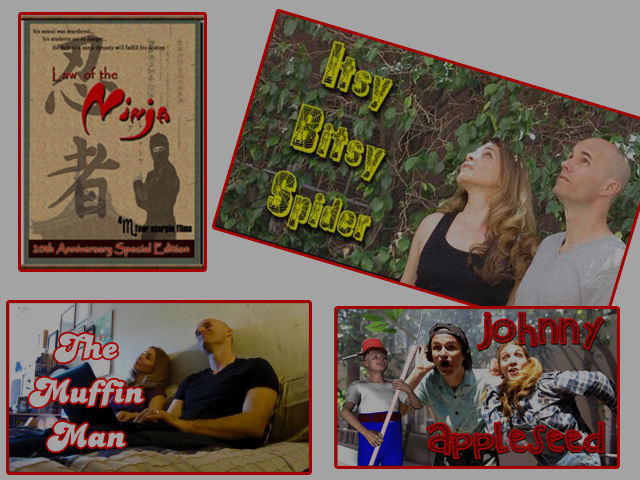 We began producing our own short films for our YouTube channel in 2015, beginning with The Muffin Man, Itsy Bitsy Spider, and Johnny Appleseed. There have been a few references to these in our current web series That Darn Girlfriend.